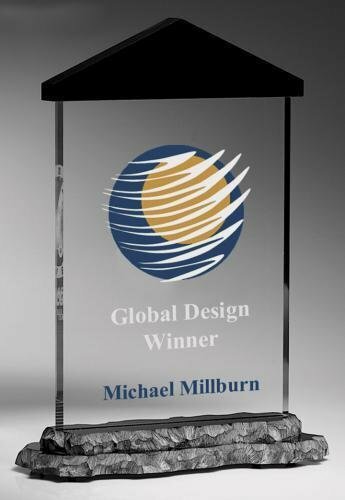 Overall height of 11" clear acrylic award with a black acrylic peak. Sitting on a faux rock acrylic base. Laser engraving to a frosted white text. 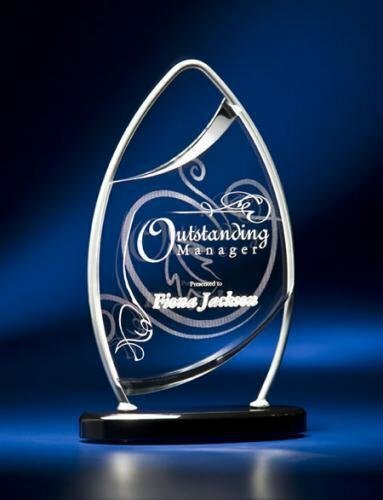 Image shown with full color imprinting, available as an optional imprinting method to this acrylic award.